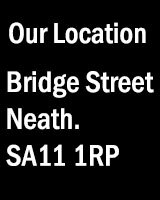 Neath and District Photographic Society (the Society) is a member owned organization for the promotion of excellence in photography. The Society organizes lectures, slide shows, practical demonstrations, competitions, exhibitions and other presentations with the majority being held at its, wholly leased, purpose built premises at Bridge Street, Neath, and supplemented by field trips during the summer off-season. The Officers and Committee members of the Society are committed to safeguarding the health, safety and wellbeing of members and visitors participating in its events. The fabric and facilities of the clubhouse are regularly inspected and maintained in good order in accordance with the requirements of our lease, and as circumstances arise. The fire exits, signage and extinguishers are maintained with extinguishers being subject to regular testing (at least annually) by competent and qualified personnel. A First Aid box is kept on the premises for use in event of minor injuries and facilities exist for calling for additional support from the emergency services in the event of serious injury/incident. Facilities to clean up spillages are kept at the clubhouse for any speciality chemicals used in the Society’s activities. Members are required to act responsibly at club events for the safety of themselves and others. Any hazards should be brought to the attention of a committee member immediately. Members are expected to be vigilant and are encouraged to reduce risk wherever and whenever possible. The Society cannot accept liability for any member/guest participating in field trips; however the Society does promote reducing risks to health and safety to as low a level as reasonably practicable through suitable pre-planning of such trips.